What kind of mermaid fabric are you looking for? Before we start, let me tell you about the 4 main types. 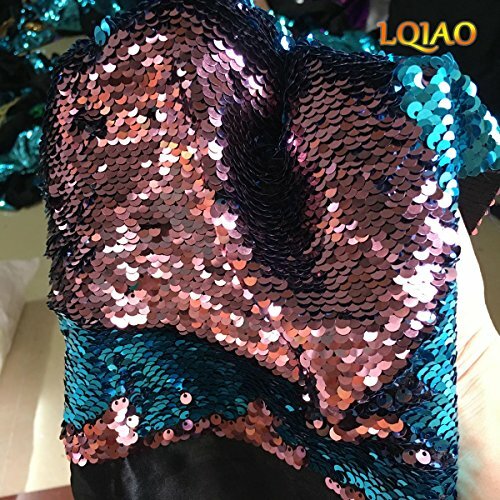 The first and most popular is the mermaid sequin fabric mainly used for mermaid pillows. Next are the spandex and polyester kind. This fabric is mainly used for a swimsuit, mermaid tails, or mermaid legging material. Next, you have the cotton fabric that is used for clothing like pajama pants or baby blankets. 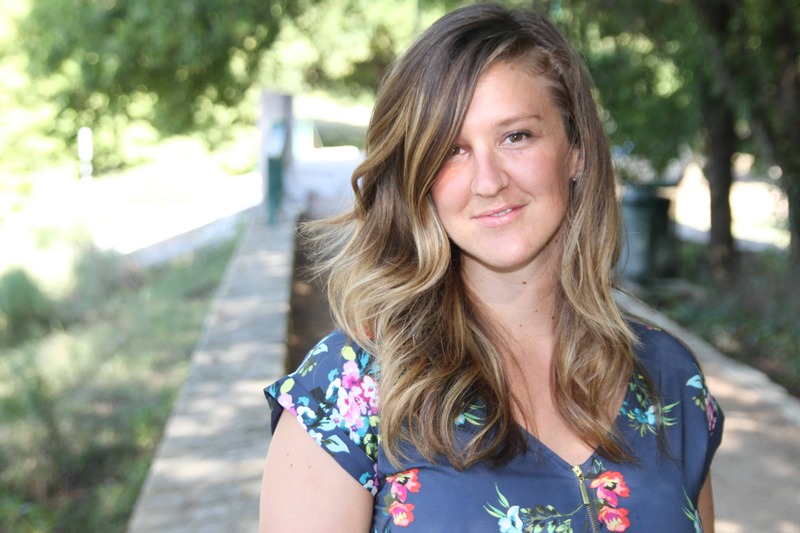 Last but not least is fleece which has multiple types of print and used for mermaid blankets and home decor. Let’s get started! Below is a list of fabrics covered in this post. Mermaid sequin fabric is better than therapy (from my own opinion). Strangely addicting, the sequins are double sided and change color as they change direction. These are called double sided reversible sequins fabrics. Usually used for mermaid pillow fabric, but can be used for other things like purses, backpacks, and even tails! The hardest part with these best sellers is figuring out which colors you want! 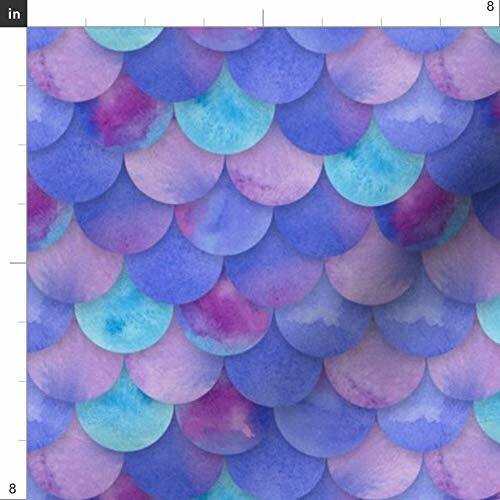 Mermaid fish scale fabric is made from a polyester/spandex stretch fabric. Great for mermaid leggings or swimsuits! Some “Mers” will use this fabric to make their own fabric swimming tail. Very impressive! Comment below if you have sewn your own tail! Oh, Ariel! The Little Mermaid Disney princess that started it all. Does your little girl want a blanket or some PJs with Ariel on them? Some fun and colorful options to choose from. 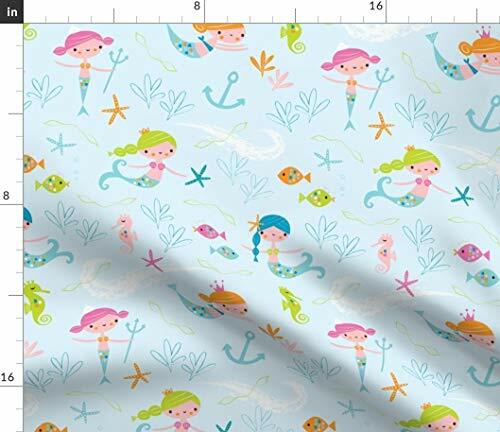 These mermaid print fabrics are more “artsy” and can be used for almost anything. Quilt fabric with cotton prints works well and can have so many fun illustrations. The possibilities are endless! So cute! Possibly a baby blanket or some bed sheets with this stuff? Mermaid fleece fabric can get really warm so make sure you are sewing for cold weather items! Fleece is mainly used for sweaters, PJ pants, but best of all mermaid tail blankets! 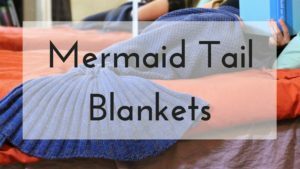 Easy to sew, a mermaid blanket is a great way to express your inner mermaid during the winter time when you can’t dip your feet into the water. Cotton fabric is a given knit fabric, but I wanted to include some really fun illustrations to help get the creative juices string! Love the mix of pink in this one! I hope this post is helpful! Comment below and let me know what mermaid sewing project you are making!